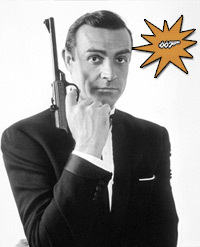 We all know that Sean Connery will forever be the gold standard to which all other actors who dare portray 007 will be compared against. Is that a fair situation, given the extraordinary level of talent and ability that each Bond-next have brought to their interpretation? Who knows? "The Gold Standard of Bond"
On the other hand, is it fair to say that Connery was the best simply because he was the first actor to portray Bond in a serious and legitimate film? 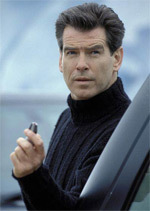 Of course, it is not fair...but unfortunately, for the successive actors tasked with breathing new life into MI6's most well-known agent, being the first Bond certainly gives Connery the edge in most casual observer's opinion. However, there is really much more to it than that. To understand the dynamics of "who is the best Bond", it is necessary to start at the beginning of Commander Bond's existence. Far from the ultra-suave, buttoned-down and always-in-control lady's man that most would ascribe as the authentic James Bond, Ian Fleming's literary vision of the world's most famous secret agent possessed some serious character flaws. The pages of Fleming's novels clearly described Bond as a man possessed by many personal demons, but some extraordinary talents and abilities counterbalanced each of these internal struggles. While it is true that Fleming's Bond is clearly an expert when it comes to spirits and other alcohol-related refreshments, he is also trapped by his own inability to control and ultimately subvert his ever-present near-alcoholism. Likewise, Bond's ultra-casual yet seductively aggressive attitude with beautiful women is clearly the result of his deep mistrust and resentment of powerful females. In fact, the literary Bond finds his biggest romantic challenges to be the most forbidden of all romantic fruit: Bond has an insatiable appetite for the married woman. Bond is clearly an intelligent and extremely goal-oriented individual, and the successful completion of his mission is the singular driving force that propels him inexorably to success every time. His personal pain, discomfort and stress are secondary to the mission...he must succeed. James Bond is only James Bond when he is embroiled in a mission, and he clearly is always looking for ways to be on a mission. This single-minded drive to complete whatever his assignment may be is what gives Bond the ability to do whatever it takes to get to "mission: accomplished". If some thugs are trying to impede Bond's way towards his goal, he will dispatch them with whatever level of "persuasion" the situation calls for. If he can simply trick them into a locked room, he will do so. However, if he must kill each of them to continue on his way then he will do that to, and he will do it without remorse or a moment's hesitation. It is only the conclusion of the ultimate goal that gives Bond personal legitimacy. Likewise, if one of Bond's beautiful female conquests happens to have a morsel of information he needs to move closer to his goal, he will use whatever ability he has to retrieve that information. If seduction and romance work, so be it. Nevertheless, if he then needs to rough them up a bit to get some cooperation, that's OK with Bond too. It's not about being "mean' or abusive, and it's not personal either. It is simply about reaching the singular goal. If Bond cannot succeed in his goal, then he feels he has no reason to exist. These dramatically opposite traits are very finely-drawn character paradigms, yet they make for a compelling and 'complete' character...one we can all relate to. We all are certainly nowhere near as heroic as Bond is in harrowing situations, yet we are also nowhere near as depraved as Bond can be in some of his darkest moments. 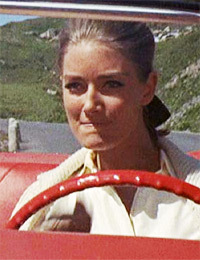 Perhaps Connery's portrayal was more nuanced and subtle than most observers notice, or possibly his directors ensured the character was brought to the screen this way. Most likely, it was a concerted collaboration amongst all involved: Connery, the director and the writers. Was Connery's Bond suave? Sure he was, but he could also be a scoundrel at the same time. Connery's Bond had an amazing degree of focus and single-mindedness, but one of his many vices could also easily distract him: Wine, woman and adventure to the exclusion of all else. Case in point: When Tillie Masterson in her white Mustang buzzes past Bond's Aston Martin in Goldfinger, he instantly recognizes the act as a challenge to his masculinity. He gets a dastardly yet playful look on his face and begins to pursue her with the clear intention of an afternoon sexual romp with yet another "conquest". However, almost immediatly his face shows a more serious thoughtful expression as he exclaims to himself "discipline, 007...discipline." Clearly a man with many demons. Clearly a man who only seems to be in complete control of himself, when in reality he is on the verge of losing control at any moment. It is just these wild extremes of character that allow us to believe that Bond is actually capable of the amazing and shocking things he does on screen. The world's greatest lover in one scene, and the world's most ruthless killer in the next. Without the built-in character flaws, his exploits become unbelievable. Roger Moore's Bond certainly had a more playful persona, but he was still fully possessed of some serious character flaws. He casually killed a few henchmen that may not have deserved it, and he easily brutalized a few women immediately after satisfying his own personal lustful goals. Because of this, I think Roger Moore's interpretation will stand the test of time for the most part. The silliness of the later Moore films are more a sad result of the producer's and director's input than anything that Moore was trying to portray. Even Moore himself knew he was far too aged in appearance to convincingly portray Bond in A View to a Kill and indeed, he turned down the role several times for just that reason. However, a gigantic paycheck will change just about anyone's mind I suppose! Timothy Dalton's performances as Bond were certainly full of the brooding, success-against-all-odds personality that any actor portraying Bond must possess, but he lacked the carefree and casual attitude in other less-threatening situations that makes for a "complete" James Bond. Consequently, Dalton's pair of outings as 007 highlights his great skill as an actor, yet they still leave the viewer somewhat dissatisfied when it is all said and done. Next up to take on the role of 007 was Pierce Brosnan. 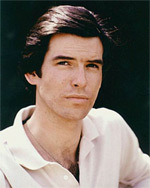 I must admit that from the very first episode that I ever saw of Remington Steele featuring a young and relatively unknown Brosnan in the lead role, I instinctively knew that he would be the "perfect" Bond. Through all of the shenanigans of Brosnan gaining the role of Bond, only to lose it after "Steele" was renewed, to him eventually gaining it again later…I knew he was the perfect choice. He has the perfect suave look and personae, yet he possesses that playful troublemaker potential about him. When Goldeneye, Brosnan's freshman outing as Bond was released, I was in the theater on opening day, ready to be blown away by the greatest Bond movie ever made. Boy, was I ever let down! Its not that I thought the movie was bad, it just was not as satisfying as I hoped it would be. I saw each of Brosnan's successive outings as 007, and while I certainly liked each of them, I just did not think they were great. So, what was the problem? Clearly, the producers and writers have lost the "DNA" of what made Bond what he was originally. 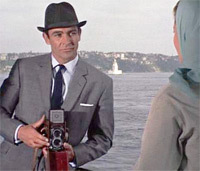 Whereas the literary Bond, and then Connery's initial portrayal presented Bond as the perfect spy, the latest incarnations have tried to present him as the perfect man. That is the real trouble with all post-Connery portrayals. James Bond, the seriously flawed man just so happens to possess the qualities, both good and bad that believably make him the perfect secret agent. However, by trying to make Brosnan's Bond "perfect" in every respect to the "average" man, the believability factor of his being able to truly function as a spy ring false. 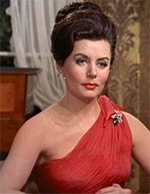 Connery's portrayal demonstrated a lackadaisical attitude towards most others around him, which is what gave him the ability to turn into the brutal spy that was required of him as those times arose. Conversely, Brosnan's portrayal as the 90's-era, "politically correct" Bond showed him as having real sympathy for others, especially the women around him. "The sensitive Bond" is what some woman have called Brosnan's version. The problem is that any person who possesses that much caring and sympathy for others could not also be equipped with the mental ability to turn it off so completely when necessary. The producers must have realized this and they slipped in a few instances of Brosnan displaying a somewhat ruthless moment or two in the last two of his quartet of Bond outings. However, they did not work, and those scenes seemed tacked on disingenuous. 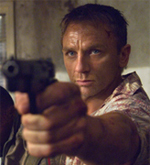 Now we have Daniel Craig as the newest incarnation of Bond. The unique "first mission" story and major re-direction of the franchise have served to obscure the fact that Craig has simply delivered a very Dalton-like, one-note performance. Casino Royale was a great movie, but don't think it will stand the test of time to become a "classic" Bond movie like Goldfinger or other early adventures. If the Craig versions of the franchise are to succeed, Craig will need to display the playful, devil-may-care attitude that is the counterpoint to his serious, ruthless character traits. Moreover, until an actor can skillfully balance those two extremes of character nuances, Connery will stand the test of time as the best Bond ever.